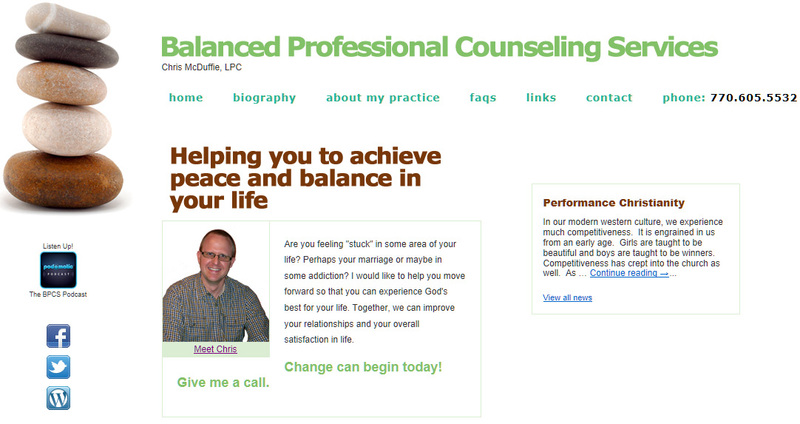 We are very pleased to announce the launch of our latest client’s website, Balanced Professional Counseling Services. Opting for clean lines and specific imagery, the site is meant to allow for an ever-growing expansion of content through a dedicated blog, associated social media, via Facebook and Twitter, and an attachment to an adjoining podcast. Chris McDuffie, LPC, has been working in the mental health and social services field since 2003 and became fully licensed in the state of Georgia as a Licensed Professional Counselor (LPC) in 2009. He currently is an adjunct professor of Psychology at Shorter University and also works for a behavioral hospital. Balanced Professional Counseling Services is aptly named, too. Chris believes in a balanced approach to work and life and will help those struggling to find that inner balance within their own lives. AJS Productions was pleased to have been selected as the business partner for this endeavor and we anxiously look forward to seeing the content portions of this site continue to grow over the years. If you are looking for someone to talk to about challenges in your life, we would like to encourage you to give Chris a call today. Is your website designed to maximize your SEO? 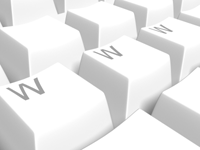 First, let’s start with, what is SEO? Search Engine Optimization (“SEO”) has, as it’s goal, a focus on maximizing the visibility of your website on a given search engine’s un-paid search results. Said another way, let’s say you are looking for a local electrician to do some work around your home. Most web users (and today, who isn’t?) will pull up their internet browser, go to a search engine they prefer (Google, Bing, Yahoo, etc.) and type the words: residential electrician in (city name). As soon as you hit enter, a list of websites will show up and there will likely be page after page of companies and web pages that contain the words “residential”, “electrician” and your city’s name. The first few are the “paid” results and can be bought by businesses to always be at the top — these are often flagged with a different color or a highlight. The rest of the results are displayed based on an algorithmic formula that each search engine utilizes to try to put the best results first. Generally speaking, the earlier, or higher on the displayed list of results, the more frequently that site is visited and referenced by internet users. And, like a self-fulfilling prophecy, the more visitors that click on your site, the better chance your site stays high on (or climbs) the list of future search results. SEO can target all kinds of searches, such as a content search, image search, local search, academic search, news search or industry-specific search. At AJS Productions, our strategy is to know how those search engines work, understand the terms people like to use when searching for a website (such as actual key words, terms and phrases) and to optimize the content on our client’s website. Optimizing each web page of a given website may include editing its content, HTML and other coding, meta tags and removing any inhibitors to the indexing activities used by search engines. To aid in building the strength of our client’s web pages, we also leverage many typical social media elements, like Facebook and Twitter, to ensure each site is referenced in multiple locations, contains both inbound and back links and creates a web of multiple paths to drive users to the customer’s online site. The effort to build SEO isn’t a one-time activity. Designing a site with SEO strategies in mind is more than just writing content with key words; it requires constant vigilance and updated content to ensure the search engine crawlers continue to find relevance to the website. Refreshing pages, adding new content, proper image tagging, adding URL links that cross-reference relevant sections of the website are a few activities that need to be employed continually to ensure staying relevant on search engine results. Our proven methodologies have been employed on many of our sites and continue to drive revenue to our clients’ businesses. If you feel your business could benefit from a consultation with us, we would be happy schedule a time to meet with you and see how we might be able to optimize your current site. And, if you have yet to implement your own internet marketing and advertising strategies, understand that many development houses employ boilerplate design templates, stock language and work from a one-size-fits-all approach. Our business model is exactly the opposite! We utilize best practices website development and design and customize our offerings for each of our clients. We take the time to learn your business and build each solution from scratch to ensure we not only have the best site possible for the investment, but also provides the tactics and strategies necessary to maximize search engine optimization. AJS Productions is a Georgia-based website design company, focused on custom web design, SEO search engine marketing, and social media integration. We take the time to get to know our clients and their business. Through several early joint application design (“JAD”) sessions, we spend time identifying your objectives and clearly defining functional requirements, while helping you to understand how to maximize an online presence, driving clients to your door. We strive to deliver the quality and complexity of much larger design firms, but with the small-to-medium business budget in mind. To us, it is far more important to be your partner, working together to grow your business, than to take a detached approach where you become just another work order number. We take pride in knowing that we spend face time with our clients whenever possible to make sure they know we feel a personal investment in their web success. Come visit our site and see why AJS Productions might be the website development and production company you’ve been looking for. AJS Productions is proud to announce the launch of a website for a another small business in NW Georgia. 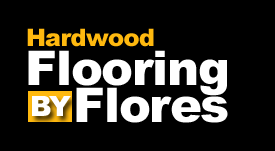 Hardwood Flooring by Flores has been in existence for over 20 years and have relied solely on word-of-mouth for their business growth. During economic upturns, this mode of marketing has been more than sufficient to supply a steady line of customers to their door. However, since the economic downturn that hit the housing marking in late 2008 and the following collapse in 2009, business has been thin. After riding it out for the last three years, they knew it was time to embrace social media. When we first met with the owners, we wanted to reflect the quality of workmanship inherent to every job taken by Hardwood Floors by Flooring. Pictures are the key and so we built the site with the ability to have the owners post new albums in their gallery. This gives them the flexibility to show each of their latest jobs from start to finish without crowding the home page of the site. They also know how important social media has become in the last few years, but didn’t want to spend all of their business hours keeping those outlets updated. By partnering with us, we were able to give them a one-button solution to updating a business Facebook page, their Twitter account, the news section of their website, while also providing a headline update to their home page of their website. This allows them to spend the bulk of their time doing what they do best — custom flooring and tiling solutions for home and business. If you are looking for someone to transform your home or office, we want to encourage you to contact Hardwood Flooring by Flores today. And, if you are ready to take the leap into social media with your small-to-medium business, why not get in touch with us today? Contact us today at www.ajsproductions.com for a free consultation. One of our latest clients is a small startup that has been in its brick-and-mortar store for just four months. In a world of mass merchants and big-box stores, The King’s Knit-Wit chose to find an unfilled niche and capitalize on it. We all know the economy has taken it on the chin for just about the last four years and many are having to change not only their spending habits, but also how to get more for less. In our own corner of the world, we run into so many family’s who have begun to grow larger and larger vegetable gardens to off-set the rising cost of fresh vegetables. Similarly, some of the more archaic professions are starting to make a resurgence, like canning, sewing and knitting. This last area is where our latest client has focused the bulk of their business — knitting. The King’s Knit-Wit provides something for everyone interested in knitting, from the novice to the seasoned expert. Providing raw wools, tools, patterns and even live training, this mom-and-pop operation has seen knitters as young as 8th graders to folks as old as 80 come through their shop. They pride themselves on always having a fresh pot of coffee or hot tea ready and plenty of space to sit down and enjoy learning and practicing this age-old craft. Many of their patrons are learning they can make clothing for a fraction of the price at retail stores, while gaining the added knowledge that their creation is a one-of-a-kind. Because of their business model and product focus, we chose to embrace a look and feel that harkens back to the Renaissance drawings and images of a time gone by. The client wanted a rich burgandy background with design elements that made you feel as if you had been transported to the days of Shakespeare. If knitting is your thing or you just want to see if this might be the hobby you are looking for, swing on by their shop and say, “Hello!” And be sure to LIKE their Facebook page, follow them on Twitter, and sign-up to follow their blog. Their focus may be on a old-world craft, but their outreach is 100% focused on social media. This website design was a nice departure for us from some of the more technical and modern sites we’ve been delivering. That’s one of the reasons so many of our clients have enjoyed working with us; we listen to what they want, while consulting with them on how best to achieve their business results. In this way, we truly create the sense of a partnership. We’ve said this over and over: We do not look at our clients as simply the next work order. If you have a business, are you doing all you can to leverage the tools available to you to market your offerings to the public at large? If not, AJS Productions may be the website designer you need. Our focus on big company solutions at the small-t0-medium business budgets will get you the results you are wanting. Contact us today and let’s get started toward making your online presence a driving force for your bottom. With AJS Productions, it’s time to Go Social. Go Everywhere. It’s been longer than anyone here would have liked in putting out a new blog but we have a pretty good excuse — we’ve been busy. Before we had even put the finishing touches on the Bartow Live United website, we were locking in deals on two more full website designs with social media integration. The first of these two sites will be for a brand new business that recently opened it’s doors in downtown Cartersville. The King’s Knit-Wit is a specialty shop that caters to knitters and crocheters of all ages. But, more than just a supplier of knitting supplies and yarn, they also provide lessons for all skill levels, are a consignment shop for fine art, sell custom soft-sculpted dolls, and maintain a used book store. Waiting for when you walk in the door, there is always a cup of gourmet coffee. The shop owners, Doug Cardoza and Patrick Kincaid, are avid art lovers, actors, and collectors. They are also both certified teachers who have decided to call Cartersville their home. They currently have a business Facebook page but they didn’t have a full-featured website and needed to leverage social media with a much wider net. After several sit-down meetings with the owners, they chose to partner with us at AJS Productions to make that need a reality. We are well underway in the development cycle and plan to have the site ready for launch by late June or early July. The second site we have recently inked is for a long-standing independent hardwood flooring installation business. The family owned enterprise has been installing hardwood floors in residential and commercial locations for many years all throughout North Georgia. But hardwood flooring installation is not their only area of expertise. They can install custom tiling, laminates and carpeting. They even have strategic partnerships with suppliers in North Georgia to be able to fulfill a job bid from start to finish. Their one drawback during these many years has been the complete lack of an online presence of any kind. Not only do they lack a website, they also have yet to embrace Facebook, Twitter or blogging. And they knew that had to change. Over the course of a couple of meetings, we were able to carve out a complete design and layout of their website, also including full integration with social media. Being small business owners, they do not have time to update multiple sites with the same content. Leveraging our technologies and processes, Hardwood Flooring by Flores knew AJS Productions was the website developer for them. When completed, they will be able to create news tips, offerings, and advice about hardwood flooring in each of those applications with the click of just one button. Whether you are a brand new business or an established enterprise, having and maintaining an online presence is crucial to your business’s survival. Beyond a website, though, is the need today for social media tie-ins. 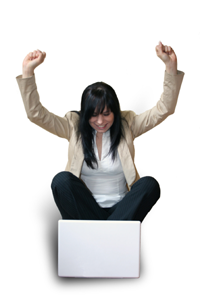 Website Design, development and integration is our specialty. Even if you have a website and just need to figure out how to integrate it with a social media component, we can help you. Contact us today at www.ajsproductions.com for a consultation. 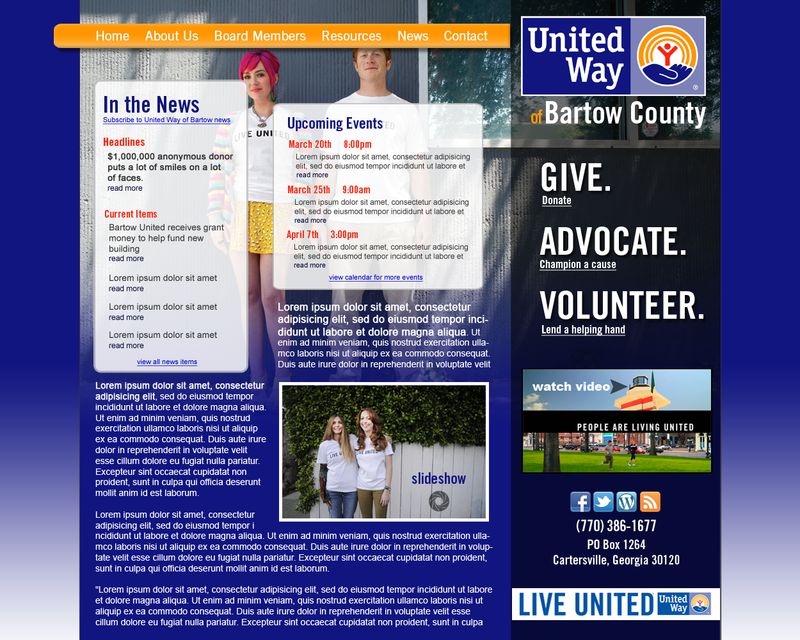 Last week, we received word that the mockup for the new Bartow Live United website was approved by the board and work has begun on the background programming for the new website. We at AJS Productions are very excited to be bringing a brand new look and feel to the United Way of Bartow County’s web presence. Our lead architect decided to leverage the new “duo” marketing campaign of the United Way, showing pairs of differing individuals, whose message is: Bringing together different points of view in the name of uniting for the common good. We loved the idea and are thrilled that the board of the United Way of Bartow County felt the same way. Over the coming weeks, the development team will be working full-speed to get the site up at the start of the 2Q’12. Our next milestone will be to get a test site up for the United Way of Bartow County’s board to be able to play with the navigation of the new site. Thus far, our relationship with the Director of United Way of Bartow County, Brenda Morehouse, has been fantastic. She has been responsive, easy to reach, and quick to provide the assets we need as we begin to populate the site with content. This project embodies our business mindset of partnering with our clients — not treating them like just another work order number. We pride ourselves on providing big-house development practices with small-to-medium business budgets in mind. From custom web design, development, and hosting to search engine optimization and social media integration, AJS Productions will give you the very best of what the Internet has to offer.